at an amazingly low price. We make it easy and economical for small business owners to harness the power of Social Media to build awareness, drive traffic, inspire engagement, develop fan loyalty, and increase sales. STOP paying a fortune for social media that doesn’t resonate with your ideal customers. NEVER worry about missing a post again! START enjoying how the social-side-of-business grows your bottom line! finding magnetic content to post to your social media pages doesn’t have to be one of them. We take the heavy-lifting of social media chores off your daily “to-do” list so you can focus on doing what you do best – grow your business. Get our Monthly Social Schedule and know exactly what to post each day throughout the year. Reduce your entire social media posting workload to less than an hour per week because we do all the heavy lifting for you. You’ll have the secret formula used by expensive agencies to express your brand personality, give fans just enough of a fun insiders view to make them feel like good friends, and discretely show off social proof of your professional credibility. 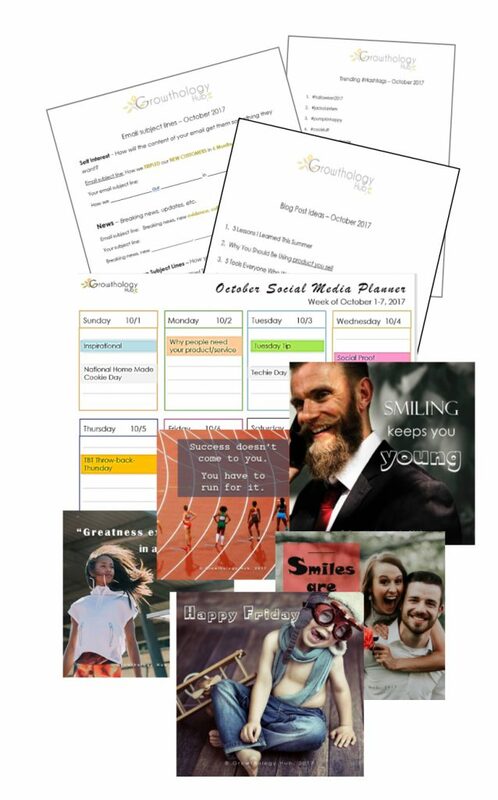 Receive an entire month’s worth of social media posting topics showing you exactly what images and messages you need every day to promote your small business on social media. Give your fans the gift of variety. Give yourself less stress and more free time. These eye-catching images are ready for you post to your Facebook and Instagram accounts. Choose from a huge library of quotes, inspirational, positivity, wellness, fitness, holidays, good morning, happy Friday, customizable Promotional Specials, and more. Plan to win. Set your social sales goals, schedule weekly and seasonal messages, relax knowing your social media is working for you every day. Your goal trackers and monthly planners will save you tons of time and take the guess work out of your social marketing. No more stressing over writing juicy email subject lines. You have instant access to the most compelling sales email subject lines for a variety of situations. Customize for your own use, and watch your open and response rates skyrocket. You’ll know which hashtags are popular, when and how to use them to attract new fans. You’ll have the insiders list of the most popular hashtags to stay on trend every month. Know exactly what to blog about. You’ll have instant inspiration and know exactly what to write about to attract tons of readers and customers every day. Select and customize the perfect blank graphic template to share your special messages. Chose the color and style that resonates with your brand. Customizable Sales & Discount images, Cross Promotion images to link fans to your other Social Media pages. Exclusive, members-only area filled with eye-catching Ready-To-Post Social Media images, Customizable & Special Offer templates, How-to tips, and everything you need to succeed with social marketing. If all this sounds exactly like what you need to succeed in the social sales game, it is.
. . . And, it’s economical too! 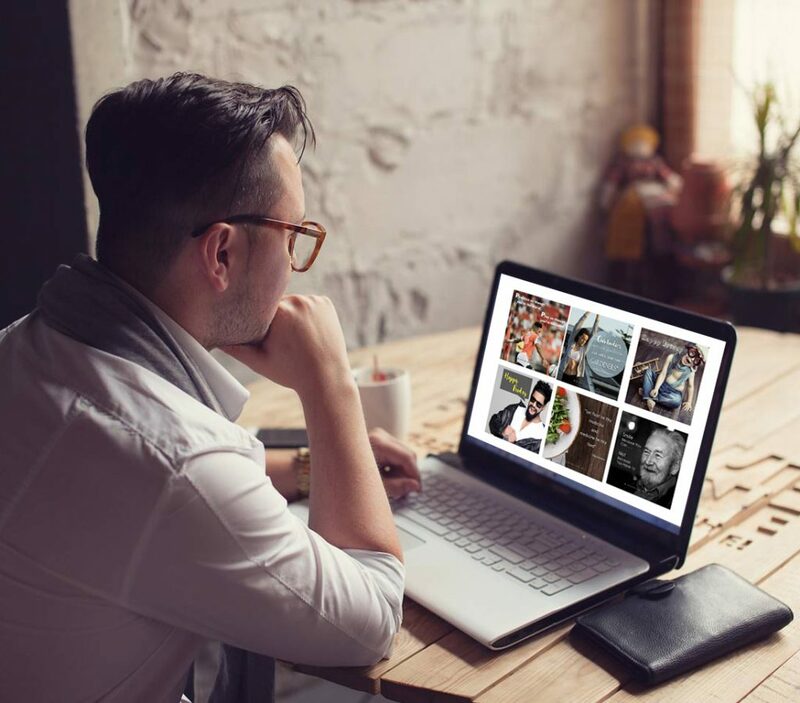 Our fans say Growthology Hub is the best new twist on Social Media for small business for a reason! Every month, you’ll get tons of fresh new content. You’ll have all the eye-catching images you need every month including , holidays. 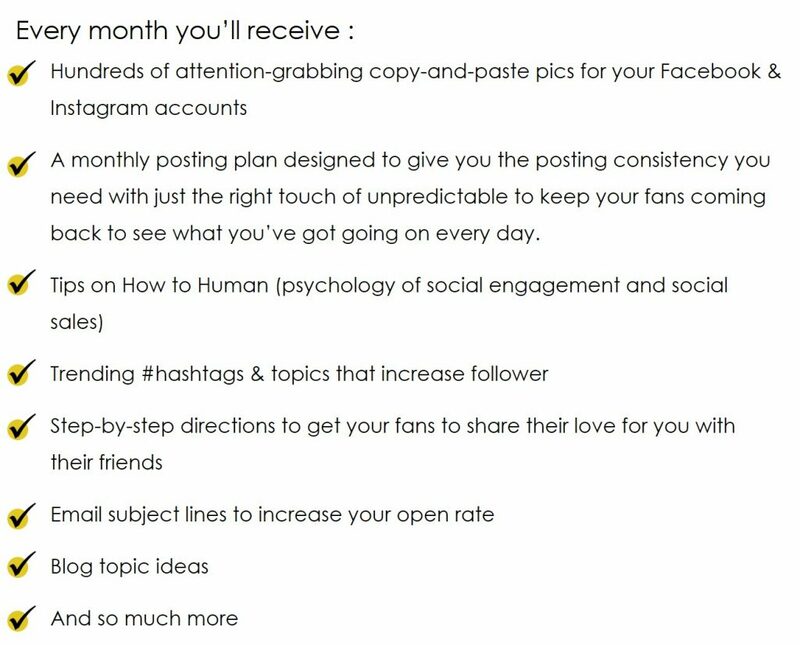 Plus, you’ll have a ready to use monthly posting/marketing calendar. 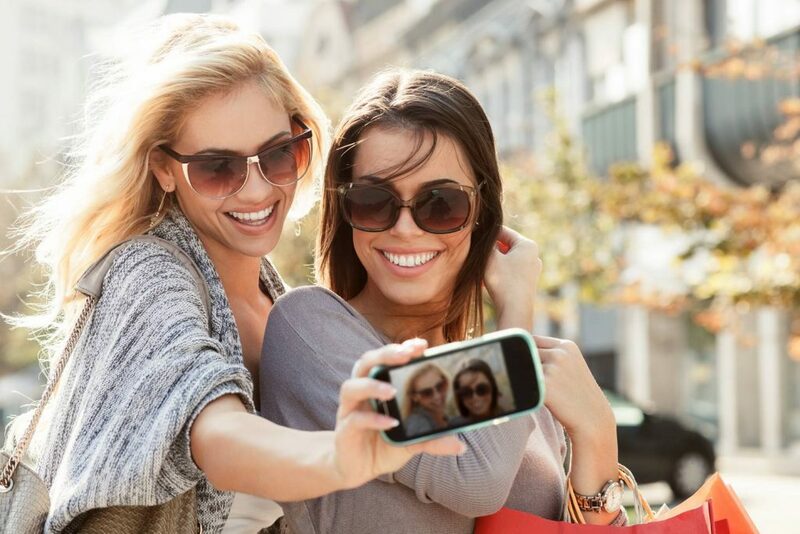 You’ll have Customizable Sales & Discount images, Cross Promotion images to link fans to your other Social Media pages. 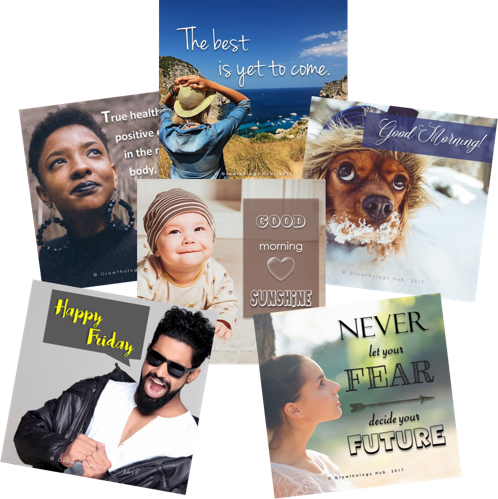 You’ll have professionally designed customizable blank graphic templates to share your special messages. You'll have professionally-written social media statuses to quickly copy and paste into your social media pages, trending hashtags, blog post topics, email subject lines, worksheets, guides, trackers and templates. You’ll have the insiders list of the most popular hashtags to stay on trend every month. You’ll relax knowing your social media is working for you every day. These handy worksheets and trackers make step-by-step planning a snap. You'll have a fresh set of worksheets and trackers every month to stay organized. Worksheets include a monthly calendar, blog Post ideas, goal sheet, and more. Wait there’s more. . . In your bonus section– you have access to a collection of gorgeous royalty free stock photos, social media strategy, insider tips, and more goodies. This is a $175 value that you’ll get for as low as $29 a month. We’re so sure you’ll love growing your Social Media following with Growthology Hub that we have a Cancel -Any- Time policy. Signup now to get instant access to the members area. Yes. You can cancel any time. Please refer to our cancellation policy for details. You can email team@GrowthologyHub.com to have us process your cancellation – or you can process your cancellation with your Credit Card or PayPal account by logging in to your account. We can’t guarantee any results because your results are ultimately dependent on your use of the program. We do however know that if you implement the recommended strategies and content, you will see increased engagement, fans, and sales. Your logo can be added to the images to create brand awareness if you wish. You can also use the blank templates to share your own content with your fans (e.g., tips, announcements, & etc. ) and you can choose the content that resonates with your audience. This program is designed is for ANY product or service based business. Popular with small businesses, start-ups, coach/consultants, e-marketers, health & wellness professionals, women’s markets, and network marketers. Will the content work for my particular business? Yes! The content is designed to fit a variety of purposes for most lines of business: Inspirational, motivational, wellness, self-care, friendly, professional, promotional, and more. With so many themes from which to choose, you can easily choose images that communicate the human side of your brand to your audience. Monthly Members: Cancel any time! Annual Members: Cancel any time before your year renewal. Your Month starts at the end of enrollment and your account will renew the following month using the date of enrollment as your start date. Your membership must be canceled before it renews each month in order to avoid billing of the next month’s membership fees to your payment method. Money back guarantee: I understand I have 30 days to put monthly Growthology Hub to the Test! *As long as you can show you’ve done the work, use the schedule, use the images and make the recommended posts. If you do the work and don’t get results, you will receive a refund. Take advantage of this amazing low price offer before our introductory sale runs out.